Our family-owned and operated winery produces grapes on a 5 ha vineyard. With its favourable location on top of a hill the wind's sweeping down valley and we are lucky to enjoy the beneficial effects of the sunshine increasing quality and providing a healthy environment from sunrise to sunset. The vineyard's soil is of black earth (chernozem), which is one of the best soils in Hungary. Between 1998 and 2000 we planted 3,5 ha of Cabernet sauvignon. Our elder vines are Blaufränkisch, Merlot and Zweigelt. Our white varieties are Grüner Velteliner and Chardonnay. For over 30 years our family has grown some of the finest grapes in Tolna Wine Region and has produced quality wines. We use reductive winemaking technology for our white and rosé wines. Our Cabernet Sauvignon rosé wine gained particular popularity. It has also been nationally recognized with some gold medal awards. We strive to preserve the fresh, fruity notes. We organize a special "rosé harvest" to retain a decent acidity. In 2015 our Rosé achieved an outstanding result at the "Le Mondial du Rosé", the international challenge of rosé wines where it was awarded a gold medal. IN 2016 we have received silver medal at Vinagora, the main international wine challenge organised in Hungary. Our red wines are aged in barrels. Fruity notes of ripe red berries with a slight spiciness are typical for our Cabernet Sauvignon. 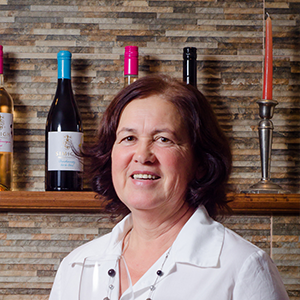 Paula is responsible to manage the vineyard and the administration of the family winery. With her experience on vineyards of over 300 ha she does it with ease. She is furthermore welcoming the guests at the accommodation and she’s our happiness manager. János, as an agricultural engineer and agronomist specialised in insects and pest control, is responsible for our integrated plant protection, based on forecasts. We strive for as minimal chemical plant protection as possible, only what’s really necessary since we believe that quality wine can only be produced from healthy grapes. 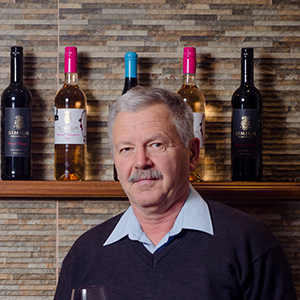 János has over 30 years of experience in winemaking as well. We could build on fertile grounds. Mariann lives and works in Brussels. 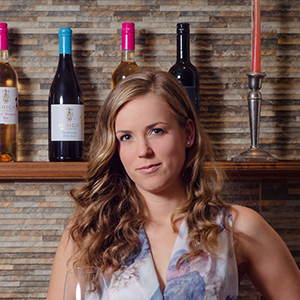 She studies at the renowned Ballymaloe Cookery School in Ireland at the moment. In her free time she helps out with international correspondence and sales. She’s also our gourmet advisor. 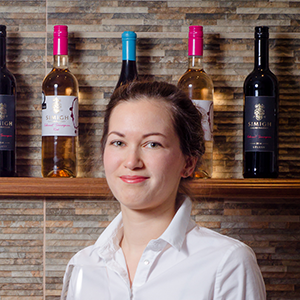 Timi is oenologist and she is our big asset at the organoleptic tests as it is widely known that women have better sense organs. Timi also takes her fair share in sales and she is of great help in the winery as well. 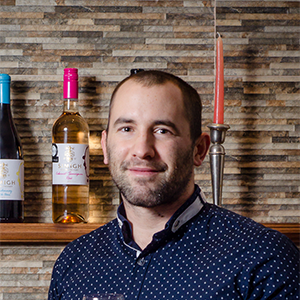 Janó has a degree in Viticulture and Oenology Engineering and he is coordinating and managing the different aspects of the winery life. He is giving the wine tasting sessions together with his father.